Mohsen Jonoosh is an expert in industrial management and was the Public Relations Director of Tehran Electricity Organization from 1998 to 2003 and since 2003 he is in charge and Director of Iran's International Exhibition of Oil, Gas and Petrochemicals. Events- What instigated this Exhibition? What purpose is it to fulfill? Mohsen Jonoosh- The Islamic Republic of Iran is the world's second largest possessor of oil and gas reserves and the second largest oil producer within OPEC. It must supply 13% of total world demand for the next 20 years. Therefore, it needs to encourage investment in its oil industry. Towards this end it is important that all oil related industries worldwide become familiar with Iran's potentials and one of the best ways of doing so is through holding exhibitions. So far we have already held nine exhibitions in Tehran, the results of which confirm this assumption. In the ninth exhibition we witnessed a 40% growth in the number of domestic and foreign participants, put together, which is very encouraging indeed. 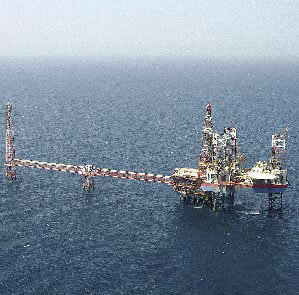 The Iranian oil industry is important in many respects: it secures Iran's need for foreign exchange; provides jobs for a very large number of people, and encourages many young people to study in various fields with the hope of joining the National Iranian Oil Co (NICO), or National Iranian Petrochemical Co (NPC) or any of the many related companies. We have recently created 200,000 new direct jobs. E- What are the achievements of the Exhibition? MJ- Our oil industry, like any other industry in fact, cannot survive without interaction with the outside world or competition with similar organizations worldwide. It has to keep up with the times, the latest developments, the most modern technology, the most recent scientific findings. The exhibition helps greatly towards this end. E - Who are the people who participate in the Exhibition? The exhibition provides an excellent opportunity for all the people who are somewhat involved in oil, gas, and petrochemical industries to present their potentials. Concurrent with the Exhibition a large number of seminars and forums are held by local and international companies. Furthermore, ceremonies are held in which awards are given to the best local producers of parts and equipment for the oil industry to encourage production in these fields. 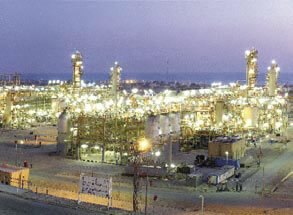 Also, academic seminars are held on economic aspects of oil, gas, and petrochemical industries. This Exhibition is Iran's largest in any field, and the fourth largest in oil, gas, and petrochemical exhibitions of the entire world. For the 10th Exhibition already about 400 companies from 42 countries and 800 local companies have applied to enroll. This is excellent news and very promising indeed.